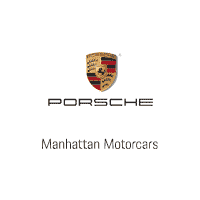 Manhattan Motorcars is excited to offer this 2016 Porsche Cayenne. This Porsche includes: EXTERIOR PACKAGE IN HIGH-GLOSS BLACK, AUTOMATICALLY DIMMING INTERIOR FRONT & REAR PARKASSIST W/REVERSING CAMERA,, FRONT SEAT HEATING, PANORAMIC ROOF SYSTEM, SIRIUSXM SATELLITE RADIO, BLACK, PARTIAL LEATHER SEAT TRIM, STEERING WHEEL HEATING, BLACK, BLACK ROOF RAILS *Note - For third party subscriptions or services, please contact the dealer for more information. * This is a Certified Pre-owned vehicle, so you can feel rest assured that it has been meticulously inspected from top to bottom. Contact Manhattan Motorcars today for information on dozens of vehicles like this 2018 Porsche Macan . This Porsche includes: 14-WAY POWER SEATS STEERING WHEEL HEATING BLACK, PARTIAL LEATHER SEAT TRIM WHEELS: 19 MACAN TURBO LANE CHANGE ASSIST (LCA) PANORAMIC ROOF SYSTEM HEATED FRONT SEATS PORSCHE CONNECT BLACK ROOF RAILS IN BLACK *Note - For third party subscriptions or services, please contact the dealer for more information. * This a worry-free vehicle that has passed our certification process.